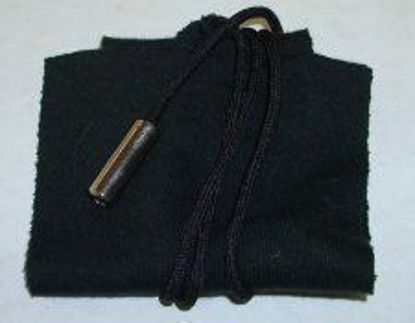 Fox bassoon boot swab - cloth swab with aluminum chain for pull through. 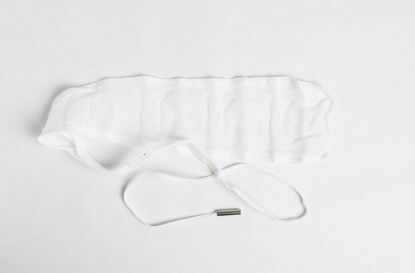 Cotton knit cloth with weight to drop through. 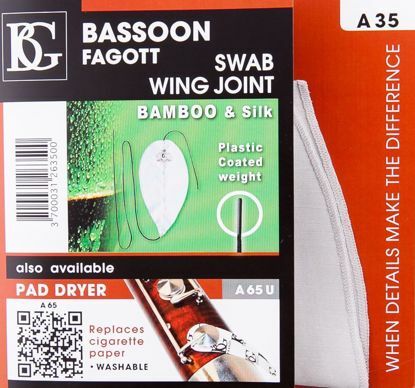 Fox bassoon drop swab for wing joint only. 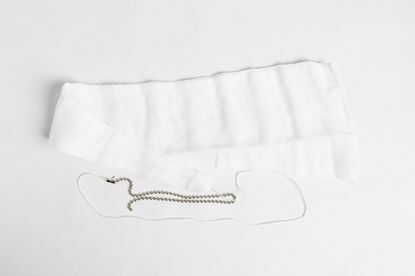 Bassoon drop swab for wing joint made from a soft, cotton knit material. 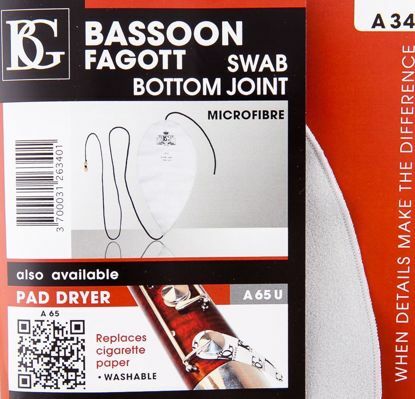 BG microfiber bassoon swab for bottom joint. 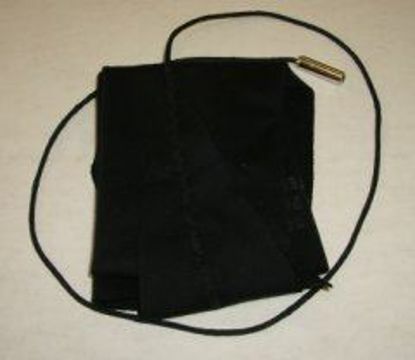 BG bassoon swab, made of bamboo and silk, for the wing joint.